offers personal attention in all phases of legal counseling in Vermont and New Hampshire. We are pleased and honored to announce the appointment of our colleague and firm member Michael Mace as a judge to the New Hampshire Circuit Court. The Honorable Mike Mace will be an outstanding addition to the New Hampshire judiciary, and we congratulate him on this accomplishment! 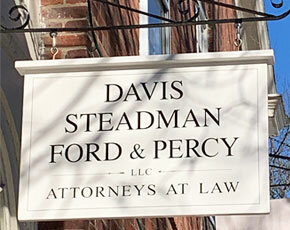 The new name of the firm is Davis Steadman Ford & Percy. negotiation, mediation, collaborative law, litigation, trials and appeals in the areas of family law, municipal zoning and tax appeals, landlord/tenant, probate, workers’ compensation, personal injury and general civil disputes. for buyers and sellers of real estate in Vermont, from assistance with purchase and sales agreements to closings. We have offices in White River Junction, Vermont and Woodstock, Vermont.